Why choose us as your Maui Wedding Planner? Your Maui wedding planner and consultant will be Shasta Rose, who has over 25 years experience arranging weddings in Hawaii. She possesses a wealth of knowledge to make planning your Maui wedding an easy, effortless, and enjoyable experience. We offer superb customer service and will respond to your emails and phone calls within one to two business days, but most likely the same day you contact us. We will provide you with various options in order to help you make the best decisions for your personal tastes and budget. 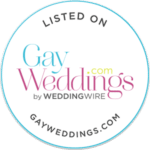 We hire only the best and most competent wedding professionals on the island who have been working together for years, so you can be assured that your wedding will run smoothly and as planned. The wedding professionals we hire are very congenial and friendly so you’ll feel like you are among friends instead of strangers. Our primary minister/officiant is Rev. Joe who is very friendly and personable, and delivers your personalized ceremony in a warm, heartfelt, and authentic manner. Your wedding images will be high resolution so that you are able to print enlargements as well as smaller prints in unlimited quantities. Some wedding companies only offer small resolution images for printing 4×6 photos or for online viewing only. And some offer photo packages with only prints and you have to purchase the digital images after the wedding. So be sure to ask them when comparing prices. You may wind up paying more in the long run. We have an A+ rating with the Hawaii BBB. We have helped thousands of very happy couples fulfill their dream of the perfect Maui wedding! Read some of their comments here.